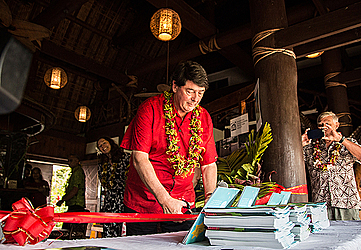 Two years of research finally came to fruition with the launch of the “Mose and the Manumea” book at the Le Manumea Hotel in Vailima yesterday. Launched by the Acting New Zealand High Commissioner, Nick Hurley, the book is for Samoan children and it talks about a young boy who is searching for the manumea – a rare bird native to Samoa that is on the verge of extinction. “Mose and the Manumea” is also published in Samoan, and it teaches children the importance of the manumea and why it is essential to protect native trees for the sake of preserving the manumea population. 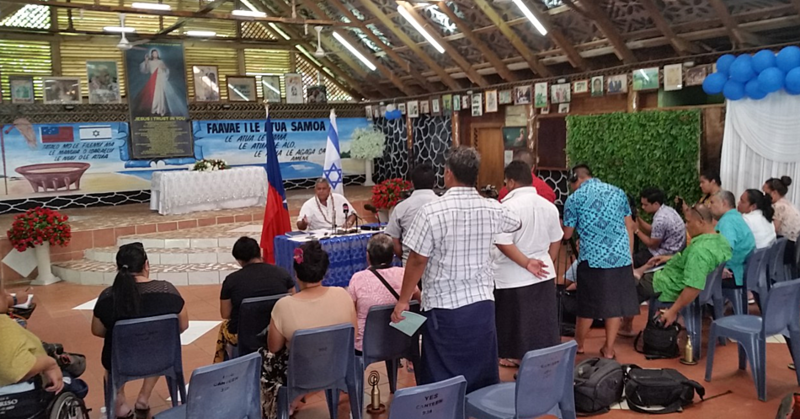 One of the authors of the book, Jane Va’afusuaga said the book is the culmination of collaborative work and research between various conservation organisation in Samoa and the Ministry of Natural Resources and Environment (M.N.R.E.). “The book took about two years to complete. 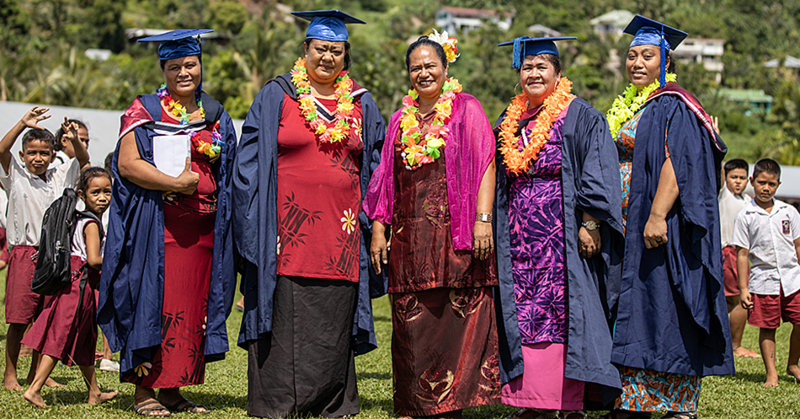 It took six months to complete the first draft, and another year for the production, and six months for translation,” Jane told the Samoa Observer. An organisation that was actively involved in the research work was the Faleaseela Environment Protection Society (F.E.P.S. ), which is a committee set up by the villagers of Faleaseela to protect the environment, native species and in particular the manumea bird. F.E.P.S. committee member, Sooula Apineru said the matais and students of the village were also involved in the project to protect the manumea, and they also helped Jane develop the book. M.N.R.E. Chief Executive Officer, Ulu Bismarck Crawley said the manumea is critically endangered and is listed in the International Union for the Conservation of Nature red list of endangered species. “This calls for us to collectively work together to protect these rare species. This book helps us understand our role as part of the community in building awareness and understanding of the importance of our biodiversity to our sustainable life,” he said. Second author and a New Zealand based Scientist, Rebecca Stirnemann, who was involved in the research work of the manumea since 2016, said the population of the manumea is about 200. 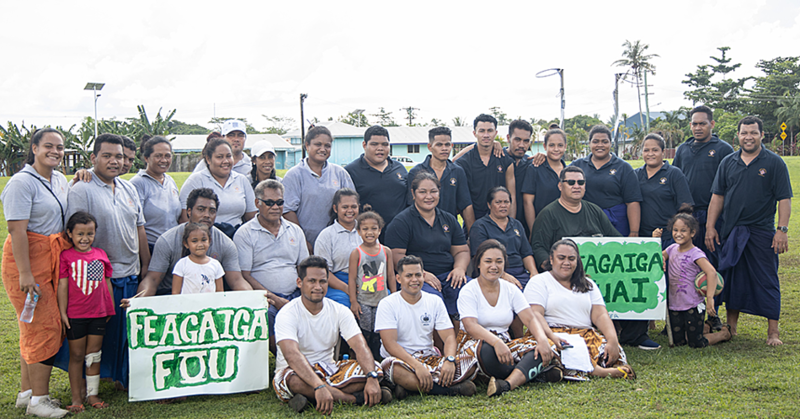 “I used about 72 sound recorders placed in deeper native forests around Savaii and Upolu to look for the manumea, with the assistance of some local guides,” Rebecca said. Book illustrator, Christina Brady told the gathering especially the children to use their talents and skills in the best way and to help in the betterment of the community. The authors acknowledged everybody who had assisted in the compilation of the book. Some of the money made from the book sales will go to the Auckland Zoo Conservation, who have been doing conservation work in Samoa. “Mose and the Manumea” will be on sale at the Temptations House and the Pacific Jewels, including other retail stores for $45.